The content of this website was composed with most care. MSE-FORKS provides information and products available on this website, subject to the following terms and conditions. © Copyright 2001, Meijer Special Equipment. All rights reserved. Information provided on this site, including but not limited to images and text, may not be reproduced or distributed without the prior written permission of Meijer Special Equipment VOF, except where otherwise indicated. Information on this site is provided ‘as is’, without warranty of any kind. Under no circumstances, shall Meijer Special Equipment VOF be held liable to any party for any direct, special or other consequential damages resulting from any use of this site. Please be aware that the information on this site may be changed at any time without prior notification or obligation. Please also note that the information on this site may contain technical inaccuracies or typographical errors and that the accuracy of the information cannot be guaranteed. If you find any typographical errors or technical inaccuracies, or if you have any suggestions, then please let us know. KOOI-REACHFORKS®, KOOI-TELESKOPGABELN®, ROLLERFORKS®, ROLLERFORKS® FLEX-PALLET® and REACHMOVER® are registered trademarks of Gebroeders Meijer St. Jabik BV, a subsidiary of Meijer Holding. Other brand or product names used on this website, or in instruction manuals, brochures and other promotion materials, but not listed here, are trademarks or registered trademarks of their respective holders. All products are sold through a network of representatives, forklift producers (OEM-business), and lift truck dealers around the world and since 2013 through our own sales office Meijer Handling Solutions, Inc in the USA. 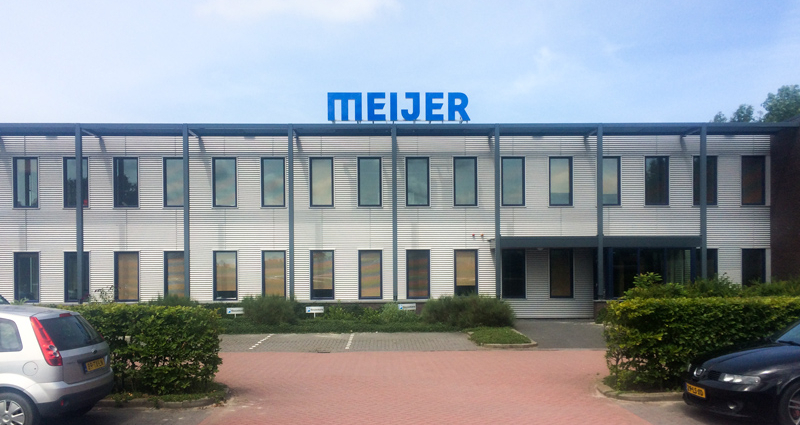 In the year 2015 we have established our sales office Meijer Handling Solutions AB in Sweden.